If you’re interested in making jewellery and want to know how to milk money from it, then read on for our list of the 10 most profitable jewellery business ideas and opportunities. The global jewellery industry was valued at $70 billion in 2016, per The Huffington Post, making it one of the most attractive businesses to explore today. But while it’s true that this market has plenty of opportunities for people who want to dip their hands into entrepreneurship, it’s not all glitz and glamour. Similar to other industries, having a jewellery business can be complex. Some factors that you have to consider before setting up your shop include operational and manufacturing costs and finding your target market. This article will put you one step closer to your goal by offering insight into the most profitable jewellery business ideas and opportunities today. Thanks to the rise of e-commerce, building your own jewellery business has become cheaper and easier than ever. You can start selling through online sites such as Etsy Inc. (NASDAQ:ETSY) and eBay Inc. (NASDAQ:EBAY), and promote your products via social media. Accessibility through online shops, however, has given rise to more competition. To stay competitive, you must ensure that you provide the best shopping experience and excellent customer service, along with offering an attractive product line. In this article, we adopted the 10 most lucrative jewellery business ideas listed by Muvsi, an online resource platform for Indian startups. India has one of the most vibrant jewellery markets today, focusing not just on gold but on diamonds, platinum and gemstones as well. In addition, India’s local jewellery industry plays a crucial role in its economy. In fact, India is now the world’s largest gold jewellery market, according to the India Brand Equity Foundation. This is primarily fueled by both cultural and sentimental demand, with jewellery and other accessories being regarded as staples in a Bollywood outfit. Hence, many of today’s fledgling jewellery entrepreneurs can and should take cues from India. Based on Muvsi’s list, the 10 most profitable jewellery business ideas and opportunities are beaded jewellery making, costume jewellery business, diamond processing unit, dokra jewellery business, glass bangles making, gold-plated jewellery making, jewellery shop, lac bangles making, leather jewellery making, and online pearl jewellery store. See how they ranked beginning on the next page. 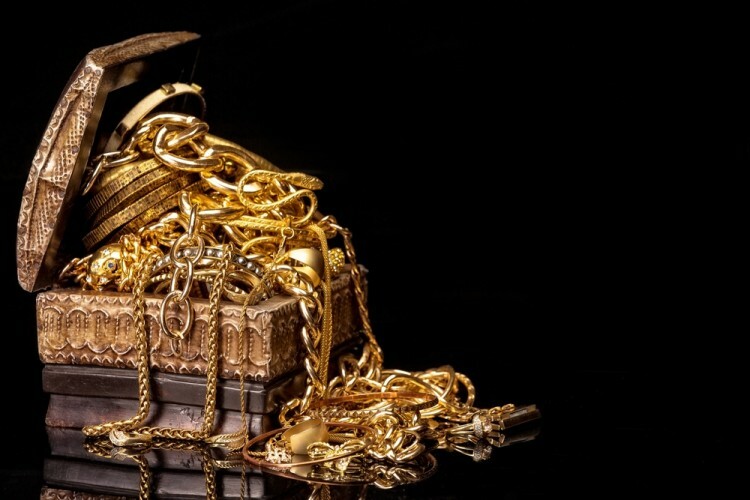 If you like our list of the 10 most profitable jewellery business ideas and opportunities, head on over to the 10 best jewelry stores in the world for further reading.